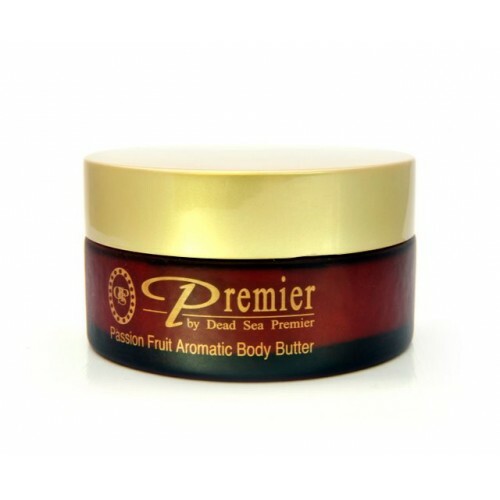 Dead Sea Premier Aromatic Body Butter - Passion Fruit is a unique scrub that assists in moisturizing and smoothing your skin. The body butter absorbs rejuvenating minerals in your facial skin. This useful aromatic butter is a soothing way to restore your skin`s vitality. After a short period of use after showering, your skin will feel soft and vital.